A two-day African security forum was set to open in Dakar on Monday amid concerns about funding for a much-trumpeted initiative to bind five Sahel countries into an anti-terror force. Less than a quarter of the roughly 400 million euros ($455 million) pledged for the G5 Sahel force has been forthcoming, French Defence Minister Florence Parly said on Sunday. "At the moment, (pledges) are materialising very slowly," Parly told reporters in the plane taking her to the forum in Dakar. Only "10 to 25 percent of the funds" have been disbursed, she said. Bringing together Burkina Faso, Chad, Mali, Mauritania and Niger, it aims to become a 5,000-man joint force to restore authority in areas grappling with jihadi raiders and brutal gangs. In February, an international donors' conference in Brussels pledged about 420 million euros ($478 million). Saudi Arabia made the biggest single promise, totalling 100 million euros in the form of equipment, but it has yet to be delivered, Parly said. The Dakar International Forum on Peace and Security, launched in 2013, is a French-supported initiative gathering several hundred political leaders, military officials, international organisations and think tanks, mainly from West Africa and Europe. It was due to be opened on Monday by Senegalese President Macky Sall. French Foreign Minister Jean-Yves Drian is expected for the final day on Tuesday. Since late last year, the G5 Sahel has carried out only six operations, with three more in the works. It also has yet to win over civilians who fear retribution from the rebels if they provide support. 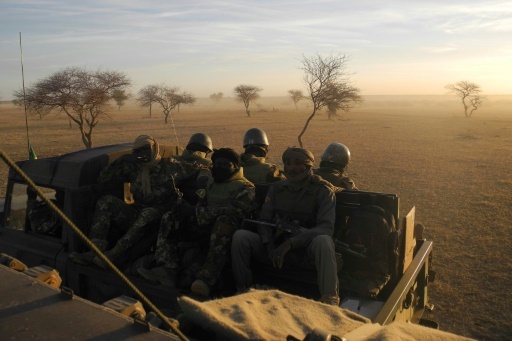 On June 29, the G5's then headquarters, in the central Malian town of Sevare, came under suicide attack, causing three deaths, two of them Malian soldiers. Its commanding officer, Malian General Didier Dacko, was replaced by a Mauritanian, Hanena Ould Sidi, who in September ordered the HQ be moved to Bamako, Mali's capital. "The goal (of the Dakar Forum) is firstly to maintain the priorities on (G5 Sahel) operations... The joint force... is not equipped as it should be," Parly said. "The rainy season is coming to an end, so it's important to get operations going again. Some have already been planned." The five Sahel states are struggling against a jihadist revolt that began with a Tuareg separatist uprising in northern Mali in 2012. But large stretches of Mali remain out of the control of Malian, French and UN forces, which are frequent targets of attacks. Jihadist violence, meanwhile, has spread from northern Mali to the centre and south and spilt into neighbouring Burkina Faso and Niger, often exacerbating communal conflicts. Parly added that a spate of recent attacks in Burkina Faso -- for which the country twice had to call on support from French troops last month -- was a cause of "much concern."